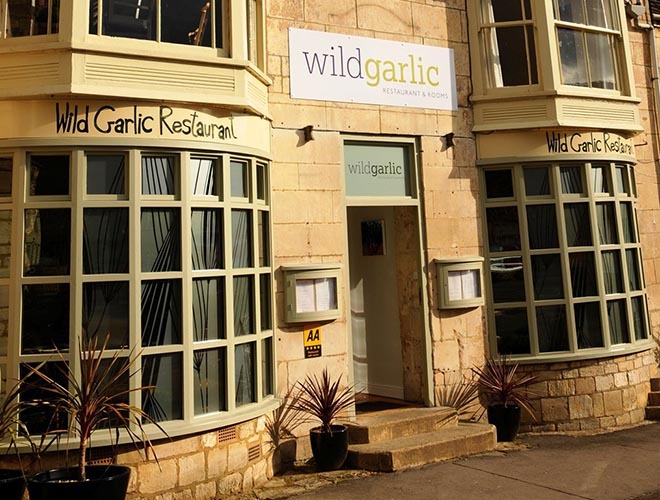 This month it’s Wild Garlic, located in Nailsworth. Matt and I were living in Longfords Mill near Minchinhampton and our neighbours were friends of the owner of ‘Mad Hatters’, Wild Garlic’s previous incarnation. 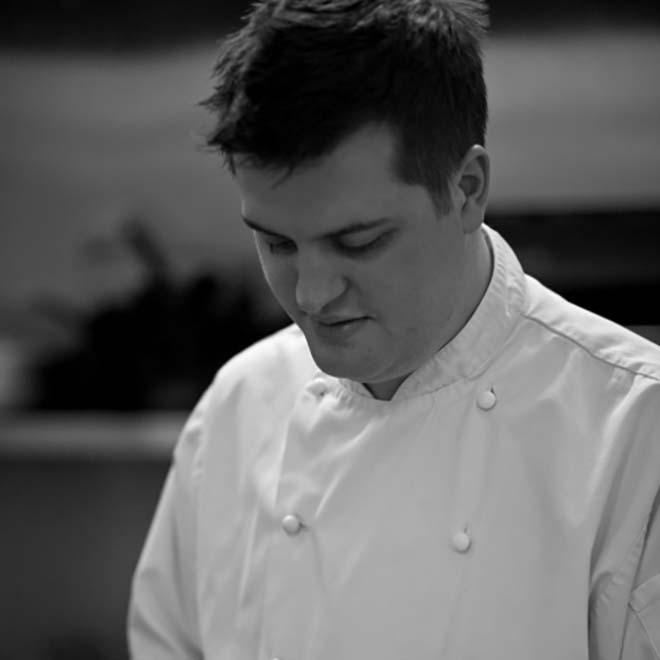 At the time, Matt was head chef at Calcot Manor’s Conservatory restaurant and hadn’t even considered the idea of buying a restaurant. We were also busy with a new baby and settling into family life. We ended up visiting Mad Hatters and when we first walked in, we fell in love with the place. We had so many ideas and we realised it was a fantastic opportunity to create something for ourselves – a restaurant with rooms in the heart of Nailsworth, already one of our favourite places. The name Wild Garlic came about through our journeys between Nailsworth and Minchinhampton, as the smell of this leafy green herb, which grows like mad around here, became associated with our venture. We also use it in lots of our dishes when it’s in season – it makes a great pesto amongst other things. Wilder, our second restaurant, opened towards the end of 2017 and we offer an eight course tasting menu that is different every night. It’s also where Matthew gets to show off all the skills he has learnt working alongside chefs such as Marcus Waring, Gordon Ramsay and Martin Blunos. 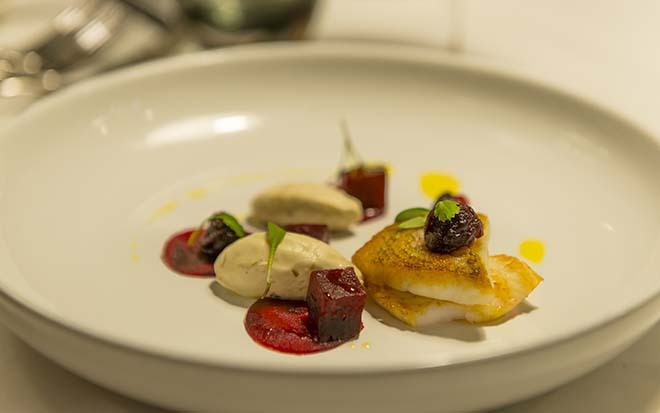 Wilder is a ‘foodie’s dream’ and a special occasion restaurant, offering food with bold flavours and delicious wine pairings. What other help did you get to start up the businesses? I need to give a big shout out to Matthew’s parents, Brian and Bridget, who have been with us every step of the way, helping us to manage the accounts, lending a hand with DIY and providing lots of moral support when things got tough. We are a small, family run business, we take care of our staff as we know that happy staff reflect the way in which customers are treated. Exceeding customer expectations plus a real pride in our food and service are the mains reasons our customers choose to return to us and spread the word. How much of the food you serve is local? We LOVE local and will go out of our way, whenever possible, to use local produce from the surrounding five valleys. Do you make any concessions for vegetarians in the restaurant? Wild Garlic offers a wide variety of dishes and seasonal specials to suit all tastes including vegetarian diners. At Wild Garlic, we make fresh pasta by hand every day and at the moment, our crab and coconut spaghetti is proving to be a real winner. We can’t tell you what the favourite dish at Wilder is, because it’s a surprise! We do bespoke and exclusive-use events at both Wilder and Wild Garlic. There is a lot of catering experience between Chef Patron Matthew, Henry Bannister our restaurant manager and our new Wilder manager, Faye Wolley. We enjoy the challenge of putting on something special and love it when our customers are thrilled with their event. Why do you think the Cotswolds is such a great foodie destination? It’s down to the great produce, its beauty and the lovely people too! We want to continue to refine our business, to adapt to new trends whilst retaining our integrity and make as many people as possible happy with our food, drink and warm hospitality. Brexit – good or bad for your business? Who really knows? It will make a difference to the price of imported goods that we use, even though we do our best to use as much local food as we can. Everyone is welcome here at Wild Garlic, regardless of political persuasion or where you happen to have been born.